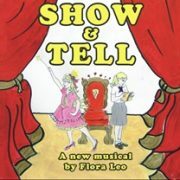 A new musical with music & lyrics by Flora Leo. The story centres around a school production of a re-written Cinderella- the story after the happy ending. The new girl from the US is up against the most popular girl in school for the main part. There are love triangles, pushy parents and friendships broken and re-formed again- all the essentials for a “high school musical”! A great show for a young cast.